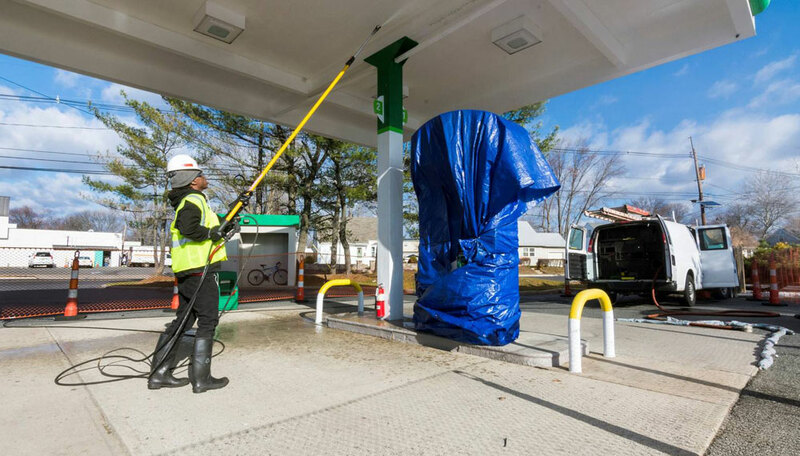 In a competitive market, how your gas station looks can significantly impact the bottom line. When choosing to stop at one corner station vs. another, gas price is still the key driver in consumer decision making.1 Gas station location and brand recognition are the next two most important factors in a consumer’s decision. Make no mistake, your brand image counts. Maintaining first-class cleanliness can speak volumes about your station and your brand. FLEETWASH can help you maintain a professional image and ensure you always look your best. 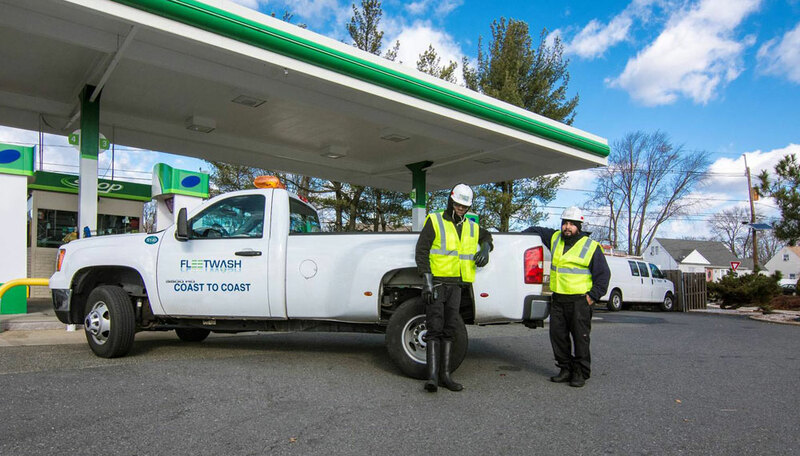 Our FLEETWASH field agents are each API Work Safety certified, strictly adhere to FLEETWASH operating procedures and utilize FLEETWASH’s patent-protected water recovery system for every job. You can rest assured your facility is cleaned safely and cleaned GREEN as well. 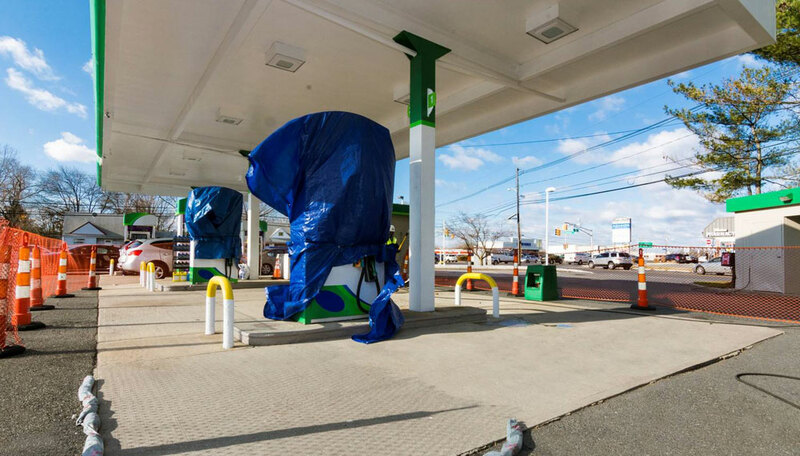 Planning to expand or purchase a pre-existing gas station? FLEETWASH can help there too. We have cost-effectively re-imaged thousands of stations across the country for our clients – helping you reap the most from your new investment. 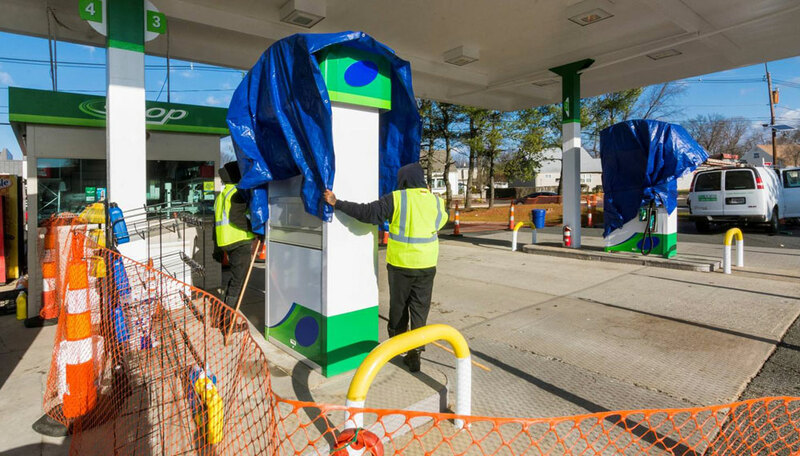 According to NACS research, over 35% of customers visit their station’s convenient store during a fuel up.1 FLEETWASH understand the importance of driving convenient store traffic to increase profits. FLEETWASH offers full convenient store cleaning as part of our Facility Services. From the sidewalks, compactors, HVAC units, building, and windows outside to the kitchen hoods and bathrooms inside. We can keep your convenient store looking clean and inviting for your station clientele. FLEETWASH has the experience, expertise, and professionalism you can count on. PLUS you can rest assured your job is completed to code and in an environmentally sustainable way – we guarantee it. 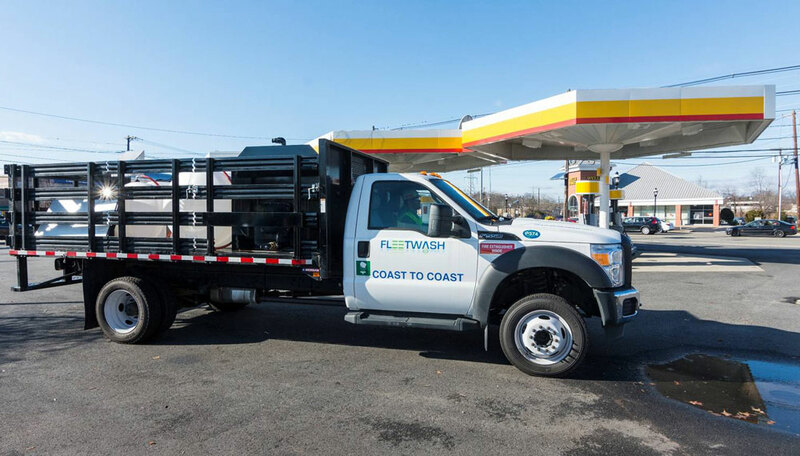 Over 700 FLEETWASH mobile units are deployed daily servicing companies – large and small – from coast to coast. 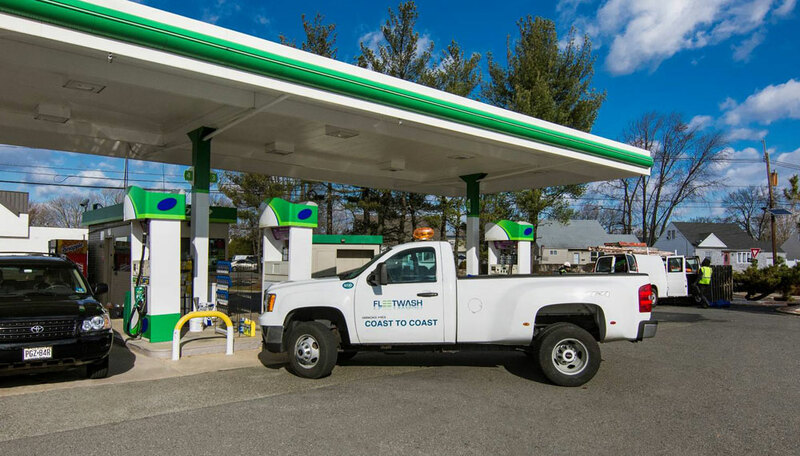 Last year alone FLEETWASH re-imaged more than 1,000 Gas Stations and completed over 2,000 Gas station cleanings. That’s in addition to the 8 million truck washes, over 75,000 trash compactors, more than 100,000 Solar Panels, over 100,000 HVAC and refrigeration units… and countless buildings, awnings, and sidewalks FLEETWASH serviced last year alone! Always scheduled. Always professional. Always on time. And always at your service. FLEETWASH crews have a Toolbox Meeting before start of a job. This meeting is to discuss safety, water recovery, and a plan of action for cleaning your site. FLEETWASH crews are each API Work Safety Certified and required to carry their license. All work follows API Work Safety standards. 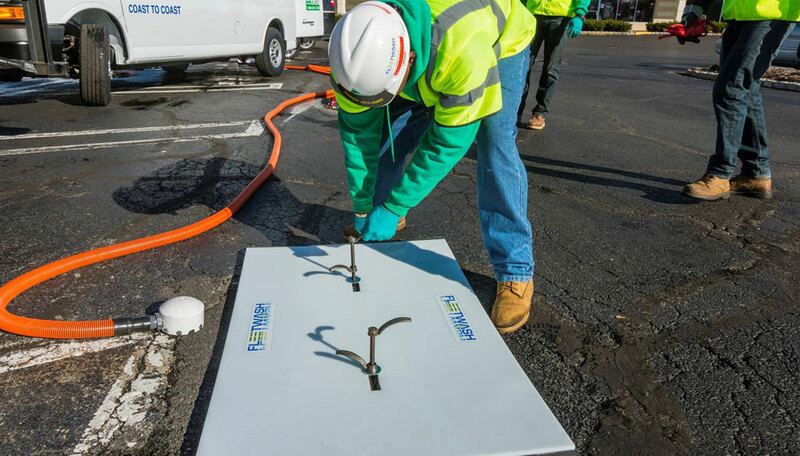 FLEETWASH crews perform a Site Safety Plan for each station and will customize any required paperwork according to your business needs. 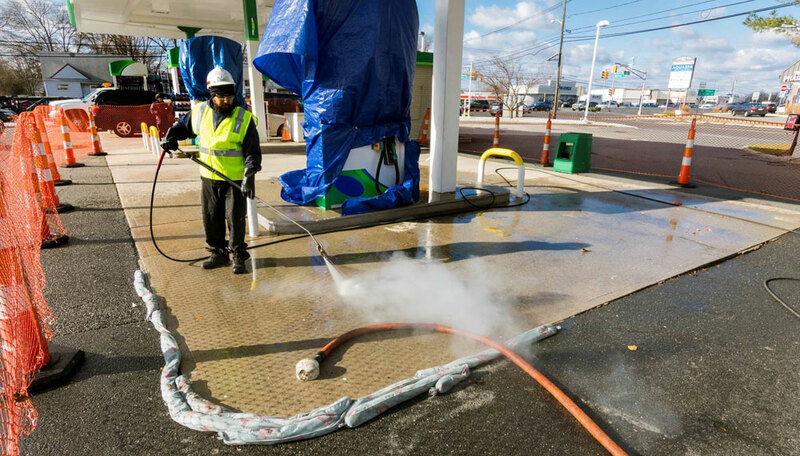 FLEETWASH crews prep the station for any electrical cameras, outlets and pumps – covering to avoid water damage. FLEETWASH can shut down Fire Suppression Systems if needed. 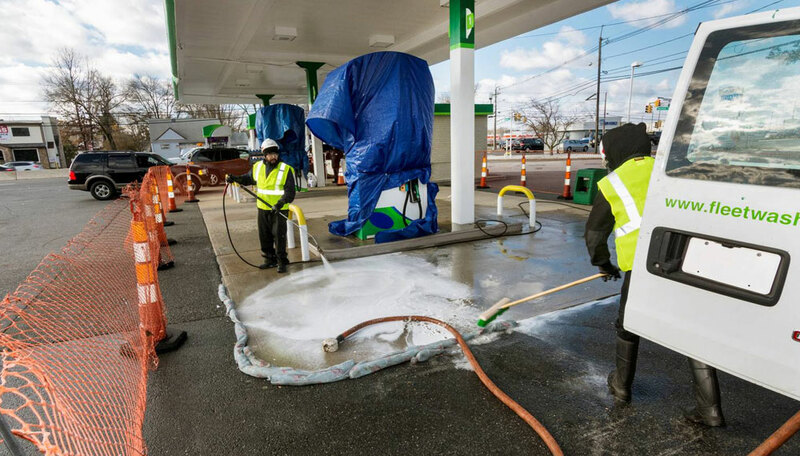 FLEETWASH crews then set-up all necessary barricades and signage that is required, cover all dispensers and notify any customers which active pumps are still available for use during station cleaning. FLEETWASH isolates, captures, transports and eliminates all wastewater using their patent-protected water recovery system. FLEETWASH will speak with station management to inspect all completed work before the close of the job. 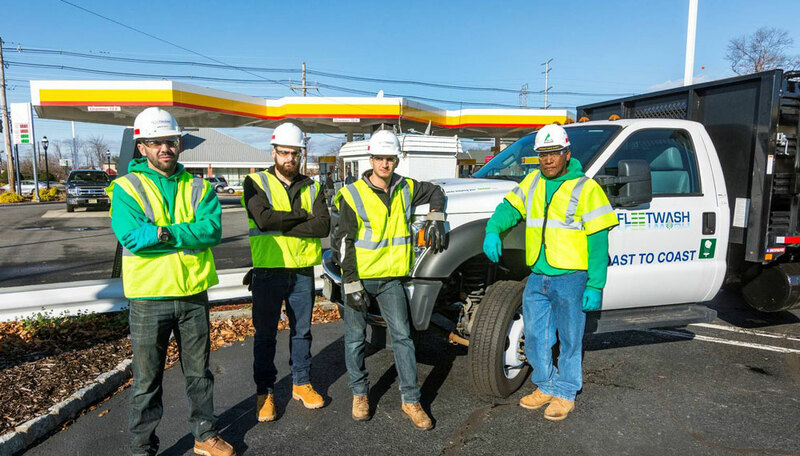 FLEETWASH crews have a Toolbox Meeting prior to the start of each job – construct a plan for your site. FLEETWASH prep the station for any electrical cameras, outlets and pumps. FLEETWASH crews set up all necessary barricades and signage required. 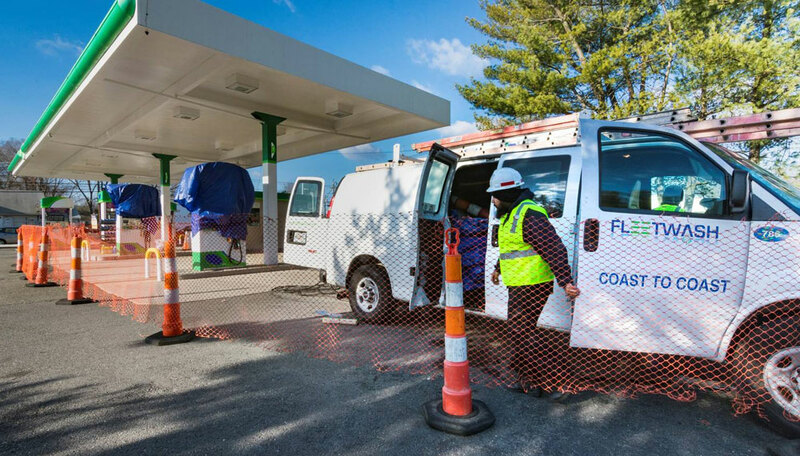 FLEETWASH will notify customers which pumps are still available for use during the cleaning. …and clovers all drains to prevent unintentional wastewater run-off. …utilizing FLEETWASH’s patent-protected water recovery system. 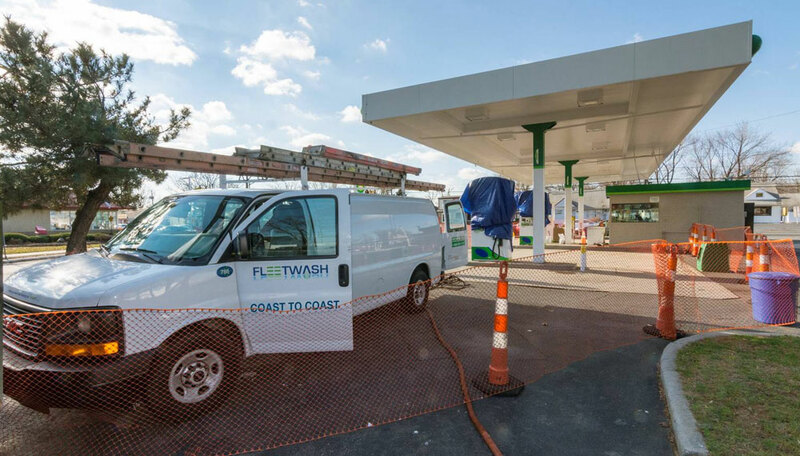 FLEETWASH is the LARGEST on-site mobile washing company in the country with services available from Coast to Coast. FLEETWASH field agents hand scrub and pressure rinse from top to bottom for a spot free finish. With FLEETWASH appointments are scheduled and confirmed at times that are convenient FOR YOU. FLEETWASH uniformed personnel and modern, well-marked vehicles mean that we will be a professional presence at your site. AND FLEETWASH holds a $2 Million Pollution Insurance policy. FLEETWASH uses self-contained wash units that carry their own water and power supply. FLEETWASH uses a powerful, patented truck mounted vacuum system, strong enough to reach a work area 700 feet away. All FLEETWASH work is guaranteed! In today's regulatory environment, for your protection and ours, we do the job by the book. FLEETWASH takes the environmental impact of what we do very seriously; we strictly follow the regulation guidelines in your State and Local area that are designed to protect our environment from water run-off. FLEETWASH collects and properly disposes of all water run-off utilizing our patent-protected water recovery system. 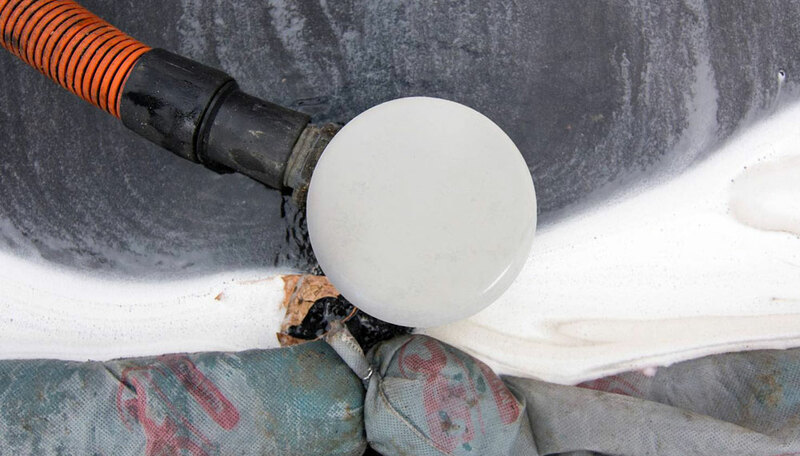 FLEETWASH assumes all risks and liabilities for proper water isolation, collection, transportation, and disposal of your wastewater in compliance with your Local, State and Federal regulations. 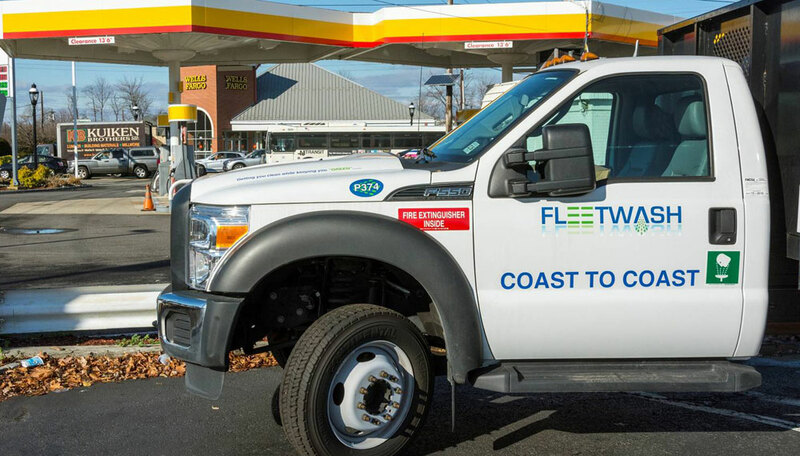 FLEETWASH holds licenses and permits from over 50 cities in states around the country and is certified by your State and Local Environmental Agencies. FLEETWASH utilizes all biodegradable cleaning agents and degreasers in their cleaning process.